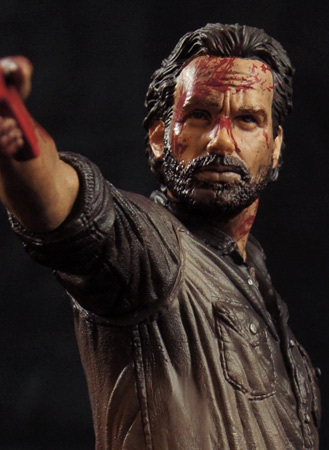 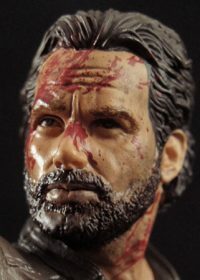 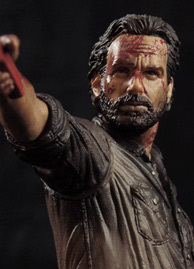 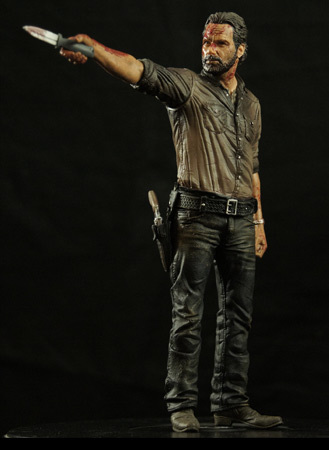 This 10″ high Vigilante Edition model of Rick Grimes from AMCs The Walking Dead is one of the most accurate, detailed models available. Produced by McFarlane in the USA, every detail has been captured in this stunning likeness from the face, hair and even fingernails to the screen accurate clothing. 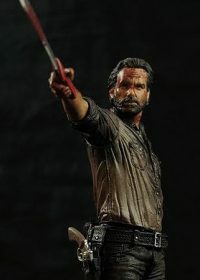 The figure is from McFarlanes Deluxe range and comes complete with Ricks revolver, machete, chain and replaceable arm to allow you to choose your weapon for display. Watch the video below to see the stunning details in close up.